On Mar 12 our School Principal, a few NSPSS Teachers and School Friends attended the Premier's Harmony Dinner - "an evening of colourful celebration bringing people together from different cultures, faiths and linguistic backgrounds" as noted by the Hon. Mike Baird, Premier of NSW, in his opening message. "I am proud to live in such a cohesive society where our commitment to tolerance and understanding remains strong in the face of adversity"
I am writing to you with regards to the 2015 Premiers Harmony Dinner. 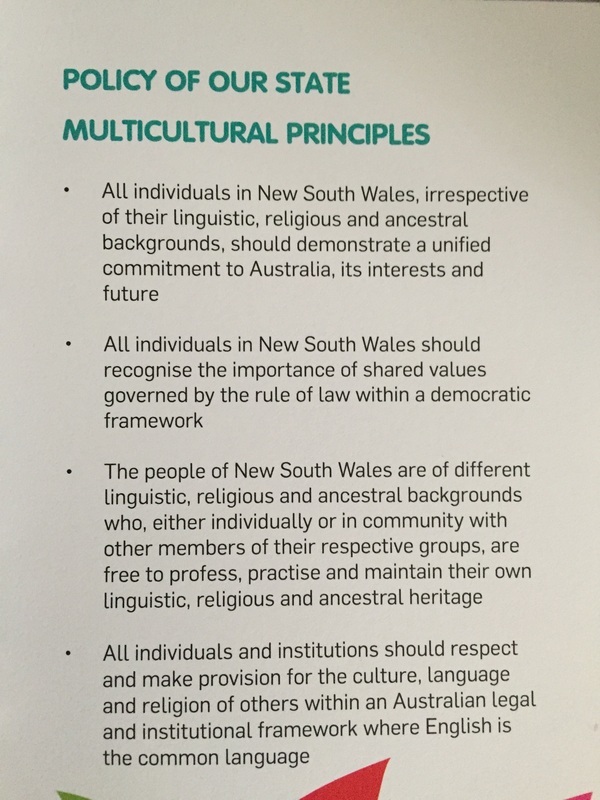 On Behalf of the NSW Federation of Community Language Schools, I would like to personally thank you and your organisation for sending representatives to one of the most important Multicultural events in NSW. By taking the time to attend you have proudly represented your language, community, schools and organisations. Also you have helped the NSW Federation of Community Language Schools make a huge political statement how important the community language school sector of NSW is not only to those who are associated with our schools such as the students, families and friends but the economic value of what we contribute to the state of NSW. 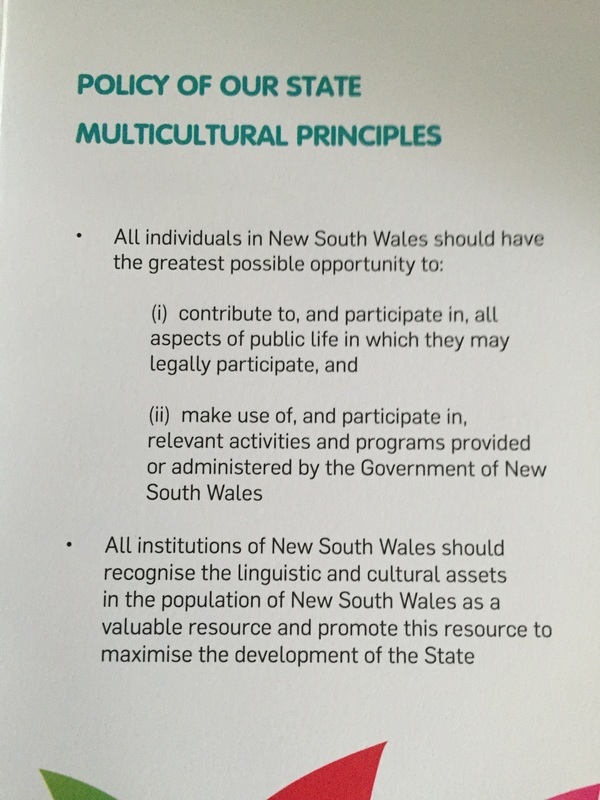 The NSWFCLS was the only organisation to get mentioned on the evening by the Premier Baird, Minister Dominello, Chair of Multicultural NSW and others. We have made a huge political statement and equally gained a lot of recognition on the evening. Well Done! I personally value your support because as individual languages and community organisations we will achieve nothing but together at the Premiers Harmony Dinner we had a huge voice and presence. Please pass on my sincere thanks to your committee and organisation. Some important facts about the evening – we supplied the NSWFCLS Choir of 12 students, had 35 tables with 370 guests from 37 language groups and 88 organisations. Thank you and Kind Regards to your community language school and organisation.